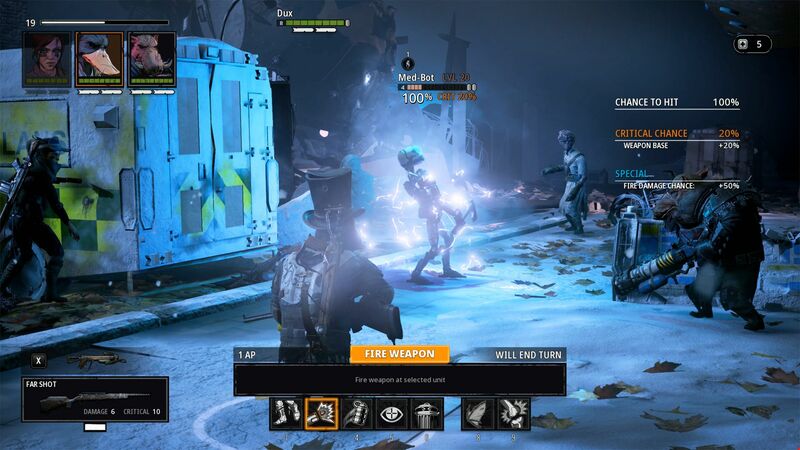 Mutant Year Zero: Road to Eden ‘is a video game based on the Swedish tabletop role-playing series Mutant. The new game mixes turn based strategy with real time stealth and exploration gameplay. 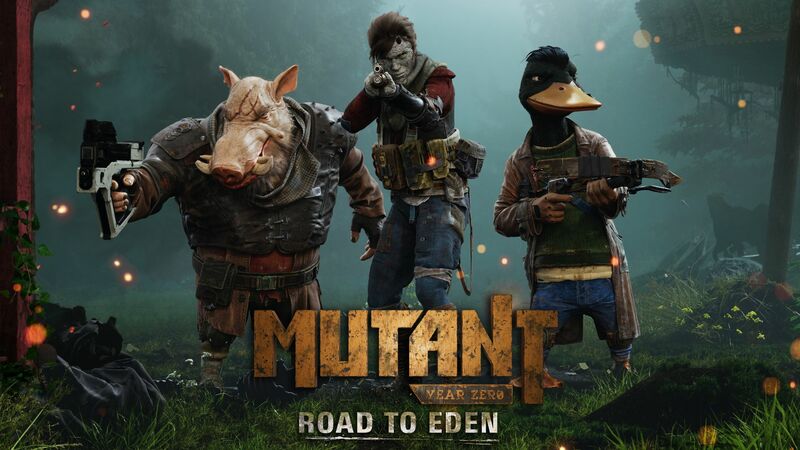 Mutant Year Zero: Road to Eden follows the story of Bormin and Dux, two mutant stalkers on an epic adventure to save their home from a death cult. Bormin, an anthropomorphized boar, and Dux, his mutant duck companion, are stalkers on the Ark; one of the last bastions of humanity in post-apocalyptic Sweden. 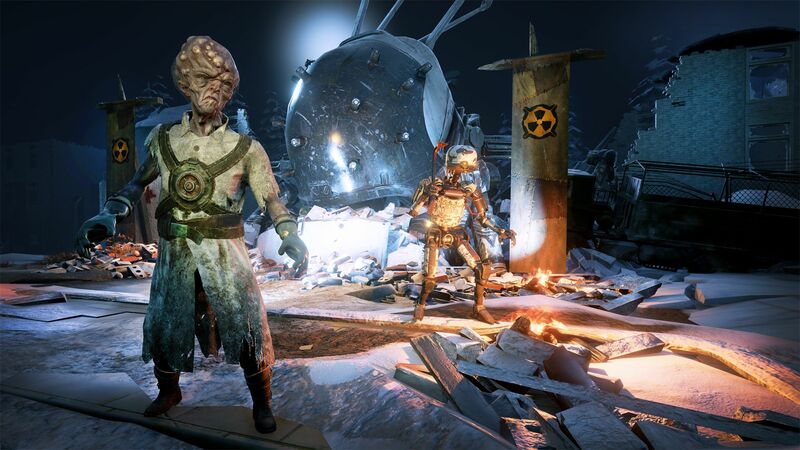 As mutants, Bormin and Dux are one of the few citizens of the Ark that can survive exploring the irradiated wastelands that surround the Ark and are tasked to salvage much needed supplies to keep the community running. Mutant Year Zero: Road to Eden pays tribute to its tabletop heritage by having a solid story. The plot is simple yet engaging. The writers really shine when it comes to building a believable post-apocalyptic world where the survivors are piecing together our modern lives like archaeologists of the future. The conversations between characters as they observe and debate their surroundings are some of the best writing in the game. 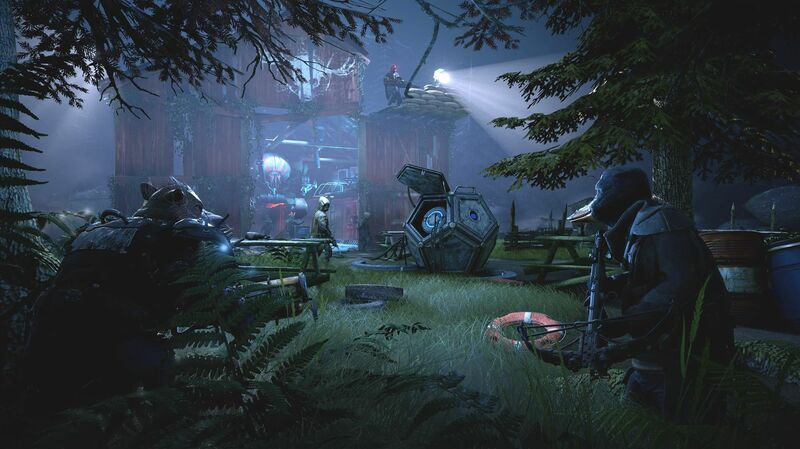 Mutant Year Zero: Road to Eden seeks to replicate the tabletop RPG experience by offering a mix of turn based combat and real time exploration with some stealth elements. Exploration provides invaluable currency and equipment but can be a bit of a drag due to the slow movement speeds. I think bumping the speed up by ten to twenty percent while the flashlight is on would be a huge help. The game’s stealth mechanics are basic and at times frustrating. Stealth is necessary in the game as nearby enemies swarm towards gunfire and there are often too many enemies to handle all at once. Each enemy has a hearing range and a circle representing their line of sight. The game does not take actual line of sight in consideration. If a player is standing near a wall that should block line of sight but is within the circle, the enemy will detect the player. Therefore, the game’s built in hiding mechanic is the only thing that works reliably. Repositioning hidden characters can be impossible at times as standing too close to the edge of an enemy’s detection range will cause the ring to slowly expand. For all the stealth system’s quirks, slowly setting up an ambush and taking out enemies who dare wander away from the pack is incredibly satisfying. The combat is turn based and will be instantly familiar to XCOM fans. Good strategy is heavily emphasized in the game starting from planning the ambush to the actual combat itself as players need to position characters behind cover, consider enemy locations, prioritize high risk enemies, and use skills and equipment carefully. I like gunfire drawing nearby enemies into combat, but I would have like to see a clear area of effect where enemies can no longer hear gunfire. Mutant Year Zero: Road to Eden is a punishing game. There are three difficulty levels that change how often player skills can be used, how much damage is taken, and how much health is recovered between fights. The difficulty is toughest in the early game when players lack the skills to crowd control enemies or recover health by consuming enemies. Even at the lowest difficulty levels, I found myself reloading saves often when ambushes did not go as planned as enemies would quickly overwhelm my small party. Additionally, resources for buying upgrades and new equipment is finite, so players will be forced to prioritize their purchases even if they do all the optional side areas. The skill system is a bit limited as each character can only equip one minor mutation, major mutation, and passive mutation at a time. Especially when playing at higher difficulties, players will often have to change skills every couple of fights to rotate cooldown and optimize the party for the specific encounter. Mutant Year Zero: Road to Eden is a bit of a short game, so the talent trees are also a little limited. I am unsure if the system is specifically constrained because of the original Mutant tabletop rules or if this was a decision specifically for Mutant Year Zero: Road to Eden. The controls are usable, but there are some issues for specific users. The mouse and keyboard controls are generally excellent if you are willing to use the default layout. The rebinding of keys is limited as many keys are locked. For example, the R key is not listed as being used, but it is not possible to rebind it to a movement key. The controller layout is decent, though only the combat menu is optimized for a controller. Character and main menus have the joysticks emulating a mouse instead of jumping from menu entry to menu entry. Mutant Year Zero: Road to Eden offers a great post-apocalyptic art style. The armour and equipment look like they have been pieced together with scavenged items. Buildings look like they are on the verge of being reclaimed by nature. On the technical side, the game looks excellent, save for a slight issue with severe texture popping when initially loading into the level. 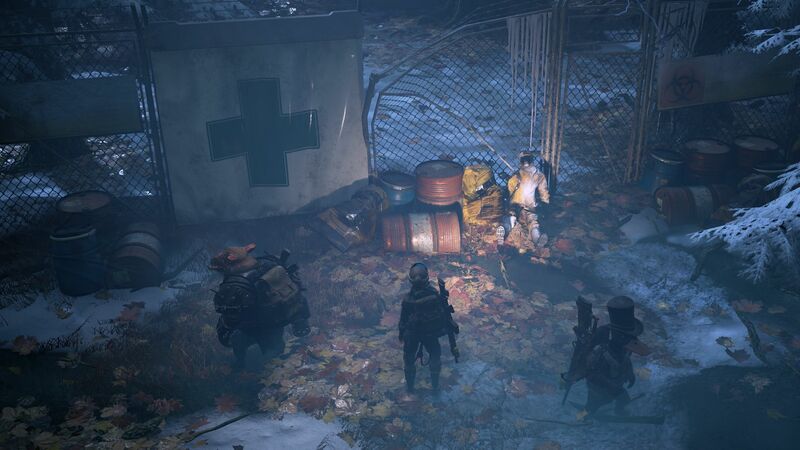 The audio experience in Mutant Year Zero: Road to Eden is good. The music is an excellent accompaniment to the game. The sound effects are decent, though a few footstep effects sound wrong as they are way too loud to be realistic. The voice acting is top notch, though I wish there were two to three more combat lines for each character as the current offerings is a bit repetitive. For all its issues, Mutant Year Zero: Road to Eden is a solid first step in the rebirth of the Mutant franchise. The world and the story are fantastic. Combat is fulfilling, especially at later levels. The audio and visual presentation is very good. Mutant Year Zero: Road to Eden is highly recommended for fans of XCOM who need something to fill the time until XCOM 3 is announced. While Mutant Year Zero: Road to Eden has some growing pains to deal with, it’s still a satisfying tactical RPG.